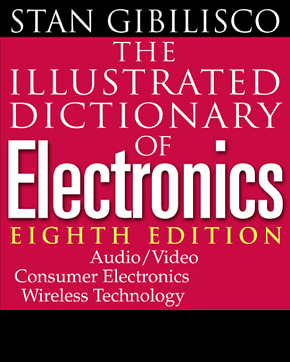 Continuing in the tradition of its best-selling predecessors, this updated dictionary of electronics terms covers a broader range of subjects in an easier-to-use format than any other source of its kind. No comparable reference offers such a vast range of definitions, abbreviations, acronyms, illustrations, schematics, diagrams, and conversion tables. More than 28,000 definitions—plus over 1,000 clear and functional illustrations—make the Eighth Edition the ultimate reference for technicians, hobbyists, and students. Many new terms and illustrations from robotics, artificial intelligence, and personal computing as they relate to electronics are included. Definitions spelled out in plain English with minimal technical jargon make the Dictionary accessible to beginning, intermediate, and advanced electronics professionals. You'll find coverage of the latest terminology in: Wireless technology; Lasers; Digital Television; Radio; IC Technology; Digital and Analog Electronics; Audio and Video Power Supplies; Fiber Optic Communications. Existing definitions have been updated, obsolete material has been deleted, and all entries have been reviewed by an editorial review board to assure their accuracy. You can look for a better source of definitions in electronics...but you won't find one!